Tom Lilly has been in the financial development profession for 27 years and has served not-for-profit organizations throughout the country. His work has been featured in the Chronicle of Philanthropy, and he has served on the Board of Directors for the International Catholic Stewardship Conference and as president of the Ascension Council On Philanthropy, the largest not-for-profit health care system in the world. Tom has also served dioceses, parishes, homeless shelters, and foundations throughout the country. He has created and or enhanced annual appeals, endowments, foundations and effective routines of database management. 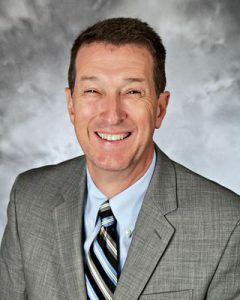 Tom currently serves as Vice President and Trust Officer at Old National Bank where he specializes in not-for-profit management. He specializes in creating efficient and effective routines for not-for-profit teams, and he creates tools to document accountabilities and evaluate financial development routines. Graduating from the University of Southern Indiana with a Communications Degree, he has certificates of executive non-profit management from Harvard University’s John F. Kennedy School of Government and from the University of Wisconsin’s Madison Institute.